At a celebration of two SMARTSTATE endowed chairs, John Ballato, holder of the J.E. Sirrine Foundation Endowed Chair in Optical Fiber, and Anjali Joseph, holder of the Spartanburg Regional Healthcare System Endowed Chair in Architecture + Health Care Design, are pictured with President Clements. 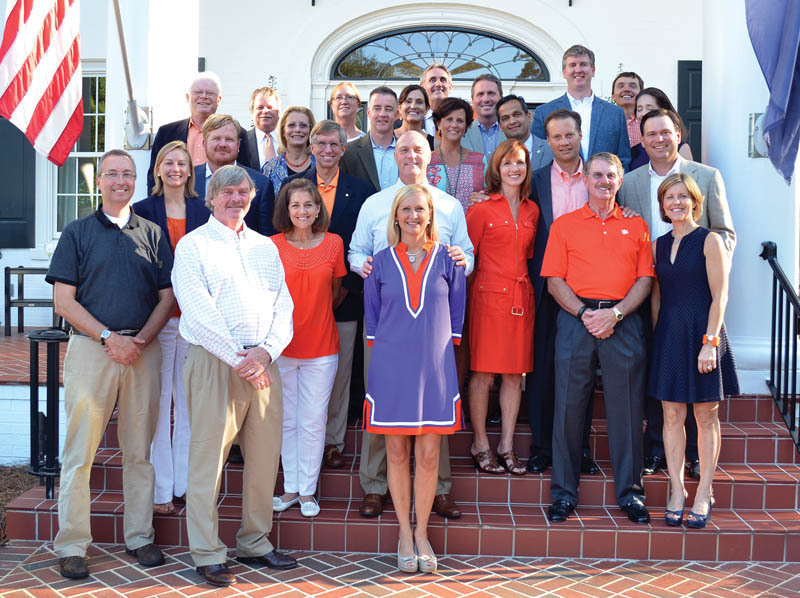 At the luncheon, donors and professors were presented with endowed chair medallions. Pictured are (from front left) Richard Goodstein, dean, College of Architecture, Arts and Humanities; Tom Waldrop, CUTBA president; Drew Bismack, Tiger Band member and CUTBA student board member; Brian O’Rourke; associate vice president, University Advancement; and Mark Spede, Tiger Band director; (back left) Tony Stapleton, CUTBA founding member; Larry Sloan, CUTBA founder; LaRon Stewart, CUTBA board member; Walter Betsell, CUTBA board member. The band that shakes the Southland has a backup group like no other. 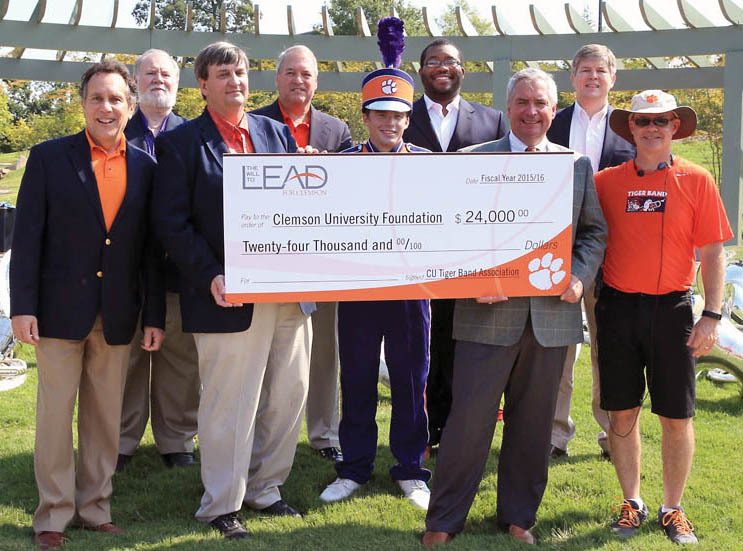 The Clemson University Tiger Band Association (CUTBA) has once again made its annual gift to the Clemson University Tiger Band Association Scholarship Award Program, this time with a $24,000 check to the endowment. 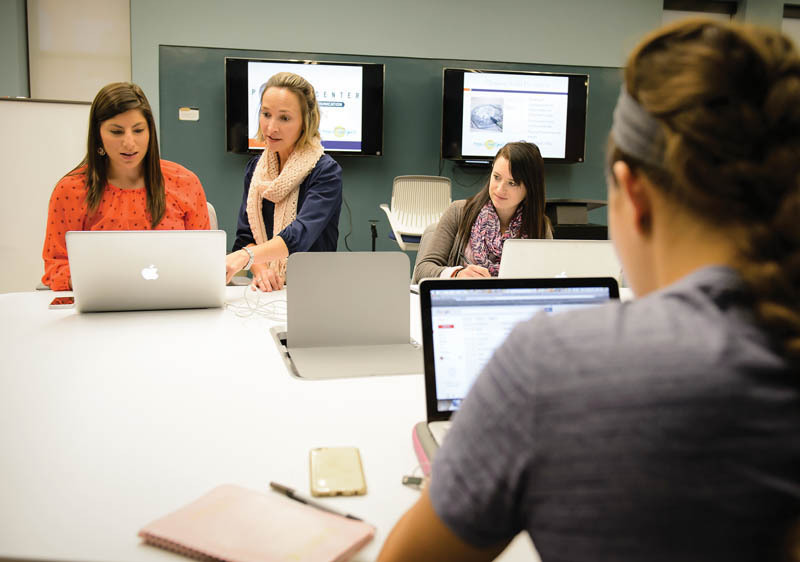 Established in 1987, the fund has received more than $800,000 from CUTBA. CUTBA uses the money to support Tiger Band members primarily with annual scholarships and award recognition, but in other ways as well, such as providing breakfast for band members before noon football games and providing fourth-year members with Tiger Band watches, which have become treasured mementos for outgoing seniors. Last year, CUTBA created academic regalia for the band students to wear during graduation ceremonies. 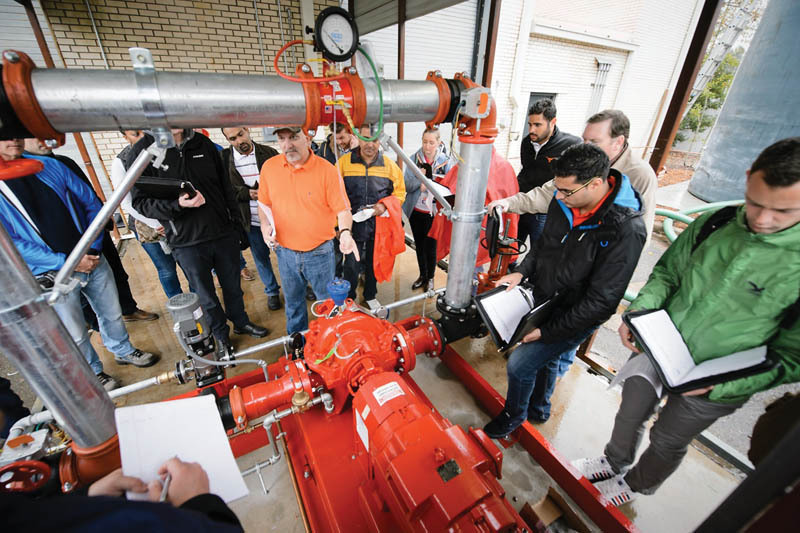 Bruce Clarke, global engineering training manager for AIG Global Property, conducts fire systems training at Clemson’s Advanced Materials Research Center. 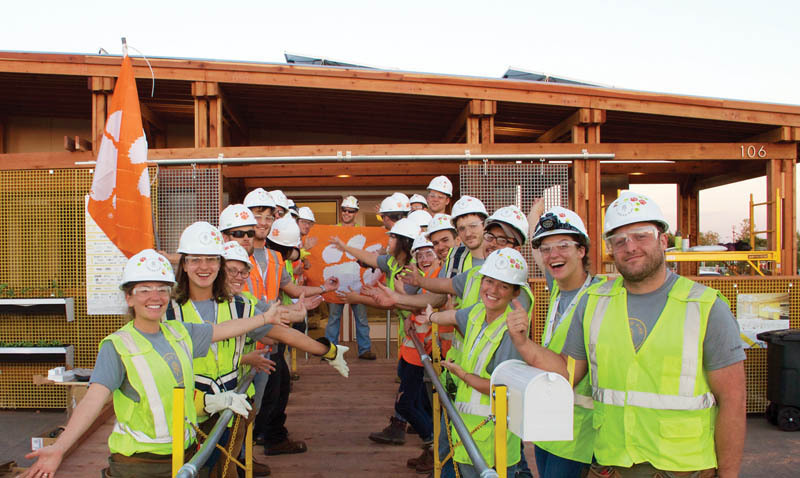 AIG engineers from South Africa, India, Australia, Brazil, England, Germany and the U.S. participated in the first class held as part of a newly established AIG-Clemson collaboration. AIG has invested $4 million to establish a Risk Engineering and Analytics Center and endow the Robert Benmosche Professorship in honor of the company’s former president and CEO.